Deta-elis-uk.com has been developed and operated by G.M.G. Da Vinci Health Ltd (hereafter called Da Vinci Health Ltd). These Terms and Conditions govern your use of the deta-elis-uk.com website (Site) and your relationship with Da Vinci Health Ltd. Please read this page carefully. If you do not accept the terms and conditions stated here, please do not register for or use the Site. Da Vinci Health Ltd. may revise these terms and conditions at any time by updating this posting. You should visit this page periodically to review the terms and conditions, because they are binding on you. Please note that to make a purchase on the Site, you are required to register as an authorised user on the site. If deta-elis-uk.com has reason to believe that there is likely to be a breach of security or misuse of the Site, we may require you to change your password or we may suspend your account. Certain offers are only available for a limited period and while stocks last. If your order is received after the offer period or the goods are no longer available at the offer price, we will notify you before we dispatch the goods. The content of the Site is protected by copyright, trade marks, database and other intellectual property rights. You may retrieve and display the content of the Site on a computer screen, store such content in electronic form on disk (but not any server or other storage device connected to a network) or print one copy of such content for your own personal, non-commercial use, provided you keep intact all and any copyright and proprietary notices. You may not otherwise reproduce, modify, copy or distribute or use for commercial purposes any of the materials or content on the Site without written permission from Da Vinci Health Ltd.
Unauthorised use of the material may violate copyright, trademark and other laws. If you violate any of these terms, your permission to use the material automatically terminates and you must immediately destroy any copies you have made of the material. No licence is granted to you in these Terms and Conditions to use any trade mark of Da Vinci Health Ltd. or its affiliated companies. Da Vinci Health Ltd. uses all reasonable efforts to ensure the contents of the website are accurate and up to date and that the website is available 24 hours a day. However, the material may contain inaccuracies or typographical errors, and Da Vinci Health Ltd. makes no representations about the accuracy, reliability, completeness, or timeliness of the material software or links. Changes are periodically made to the website and may be made at any time. The website may be unavailable or access may be interrupted from time to time due to technical failure. The website and material are provided on an ‘as is’ basis and Da Vinci Health Ltd. makes no warranties of any kind. All warranties, terms and conditions are excluded, to the fullest extent permitted by law. If your use of the website or the material results in the need for servicing or replacing equipment or data, Da Vinci Health Ltd. is not responsible for those costs. The website may contain links to third party websites. These links are provided solely as a convenience to you and not as an endorsement by Da Vinci Health Ltd. of the contents on such third party sites. Da Vinci Health Ltd. is not responsible for the content of linked third party sites and does not make any representations regarding the content or accuracy of materials on such third party websites. If you decide to access linked third party websites, you do so at your own risk. You agree to indemnify, and hold harmless Da Vinci Health Ltd, its officers, directors, employees and agents, from and against any claims, actions or demands, including without limitation reasonable legal and accounting fees, resulting from your use of the materials, any communication posted by you on the website or your breach of any of these terms and conditions. If you breach these Terms and Conditions and Da Vinci Health Ltd. ignores this, Da Vinci Health Ltd. will still be entitled to use its rights and remedies at a later date or in any other situation where you breach the Terms and Conditions. Da Vinci Health Ltd. shall not be responsible for any breach of these Terms and Conditions caused by circumstances beyond its control. These Terms and Conditions shall be governed by and construed in accordance with the laws of Cyprus and any disputes will be decided only by the Cyprus courts. Please read these product terms and conditions carefully as they affect your rights and liabilities under the law and set out the terms under which Da Vinci Holdings Ltd. makes the products available to you (“Product Terms”). All orders shipped to the UK and EU Countries and have prices expressed in GBP (£) or Euro (€) are inclusive of any VAT and Duty payable unless otherwise stated. Goods sent to non-EEC countries such as the USA, Asia, Middle East and the like may be subject to additional taxes/duty when shipped to other countries. If you place an order outside the USA and EU countries, where the goods may be subject to tax/duty and you refuse to pay the tax/duty and/or any other charges on delivery or attempted delivery of goods ordered, resulting in the goods being returned or destroyed, Da Vinci Holdings Ltd. will not refund the goods or shipping charges. Payment is made strictly with the order. All prices are subject to change without notice. The www.deta-elis-uk.com website is a bridge between the Russian DEHOLDINGS company selling the DEVITA line of bioresonance wellness devices, and the English speaking world. All products are ordered directly from the Russian company, we do not actually stock product. The DEHOLDINGS company now manufacture most of their products in Germany, with the main global distribution network in Greece and Cyprus. DEHOLDINGS allow products to be returned within 30-days for a full refund, but we would need to charge a 5% processing fee for all refunds to cover PayPal charges and additional administration. So, please DO NOT place an order if you are uncertain, as orders are placed the same day. If however, you place an order by mistake, then please write to admin@www.deta-elis-uk.com and we will try our best to refund the amount, before the order is actually placed with DEHOLDINGS. If for any reason beyond our reasonable control, we are unable to supply a particular item, we will not be liable to you, but will notify you immediately and make amends either by returning your funds, or giving a delivery date when stocks are renewed. 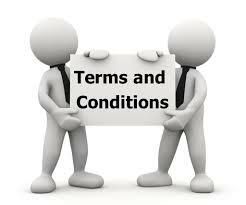 The purchase contract is made on ordering and paying for the goods and delivery. You will be charged for the goods and delivery when you place your order. There will be no contract of any kind between you and DEHOLDINGS until you have purchased the goods. Up until payment, we may decline to supply the goods to you without giving any reason. At the moment the goods and delivery are paid for (and not before), a contract will be made between you and DEHOLDINGS. c) All bioresonance devices are shipped from Greece or Cyprus to the rest of the world using UPS, DHL, TNO or other couriers and a tracking number is supplied as soon as the items are sent. We hope you will be happy with your purchase. As we are a portal or bridge representing the DEHOLDINGS company based in Germany and Greece. If you are not happy with your product, then please contact us at admin@www.deta-elis-uk.com and we will give you instructions for its return. Please note that only UNDAMAGED DEVICES can be accepted as part of the refund policy. Freight charges for returns will be born by the buyer. All products are covered by a two-year guarantee, so if a device becomes defective then it should be returned to the main office in Greece where it will be repaired and returned to you. The customer will pay the freight charges for getting the device to Greece, but it will be returned with the company’s expenses. If you think a product is defective, please write to us first at admin@www.deta-elis-uk.com as often it may be something simple that we can help you rectify with simple instructions. Alternatively, we will give you full instructions and address to return the faulty item immediately. Please notify cancellation and changes to your order by emailing us immediately. If your order has not been processed then it will be possible to cancel or amend the order as requested. However, if the order has been processed and dispatched, then the goods cannot be refunded, so please do not order if you are uncertain. Orders are normally processed within 24 hours of placing the order online, so if you wish to cancel please email on the same day. You can pay using our e-Commerce system by any Mastercard or Visa credit card, Switch or Delta debit card or through PayPal. Your credit/debit card details will be encrypted to minimise the possibility of unauthorised access or disclosure. Payment must be given at the time of placing your order. These Product Terms shall be governed by and construed in accordance with the laws of Cyprus and any disputes will be decided only by the Cyprus courts. The information provided on this website does not seek to diagnose disease, or to replace medical advice. Proper medical advice should be sought in the first instance. Please exercise caution when using bioresonance devices, taking nutritional supplements and herbal remedies, if the products you wish to purchase have been recommended by your practitioner. It is important to disclose your full medical history to your health professional and current medication details to avoid potential contra-indications. Please ask your doctor or pharmacist for advice.